Holy crap, everybody and then some is putting a book out this week!! 79 books! 79!! It would have been more, (original count: 91! 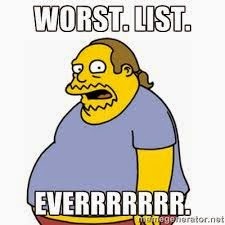 ), but I went through the list and deleted a few misplaced items. Books of jazz photo's, (which would have been interesting to me on a different level), and a Direwolf statue that sounded pretty sweet; a couple of Star Wars poster books that I was indifferent to; a book about the history of toy merchandise which looked good and the list goes on. But, I have culled the list of excess and from that leftover meat have chosen, maybe not the finest cuts, but some of the more interesting for sure. Before we continue to the main course shall we get the appetiser out of the way? I looked this up for more information and the product description might as well have been in a different language. It talked specifics about character arcs developing and that's about it. NO idea whatsoever what the overall plot or idea of this would be. Something about preventing a hybrid child from being born. 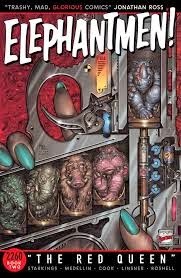 So, maybe the Elephantmen in the title is literal? The other weird thing was, Vol. 1 starts printing issues from #51 and on. So, this is an ongoing series that changed up after 50 issues and did a bit of a re branding? Really, I'm throwing this one up as more of a bait for some information then anything else. I used to like this series a lot more then I do right now. It used to be awesome, great shounen stuff, with humour that was actually funny and villains that were fantastic, yet defeatable. 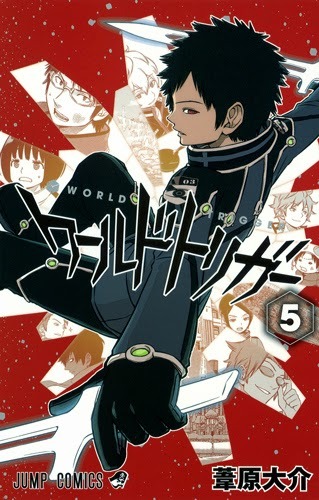 They did an arc last year, (or at least I got the English translations last year) called "Full-Scale Invasion" that I thought was the best stuff that had happened and exactly where the book should be going. Then that wrapped up and they just moved on to some kind of lame tournament as if the main villains hadn't just stepped things up in a MAJOR way. It's still ok, just not what it should be, (kind of like when Bleach becomes mind numbing and you're just waiting and praying it gets better). I was playing music with some guys a month or so ago and we got talking about comics. One of the guys asked me, very enthusiastically, if I read Conan comics. Honestly, I kind of laughed before I said, "No, I've never read a Conan comic." He proceeded to tell me that they were the best comics he's ever read. I was a little surprised. Not that there was Conan comics, per se, more that someone was THAT in to them. They're "the best", apparently. So, when my eyes glanced across this title I figured, 'Sure, why not? He's probably not the ONLY guy that thinks these are the greatest.' Is he? 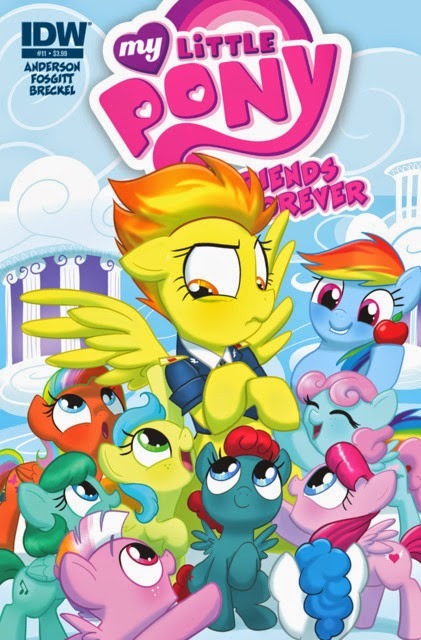 EDIT: Ok. Now that I've seen the cover - this is a joke, right? I mean, Conan is going to level that dude. 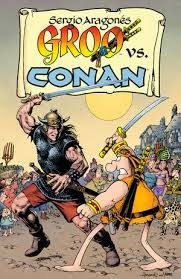 Groo's an idiot. And the write up for the product listing actually says it's dumb. Maybe this isn't the finest example of Conan's comic book greatness?